Ok, this is the last one for now, I promise. Not that anyone cares anyway. I have been thinking about the purpose of MS Paint. Yes, it’s nice to have a primitive way of quickly creating something graphical when there’s no “real” software installed. Yes, I know you can actually do awesome pixel art with Paint. Yes, I am aware of The Power of Paint. 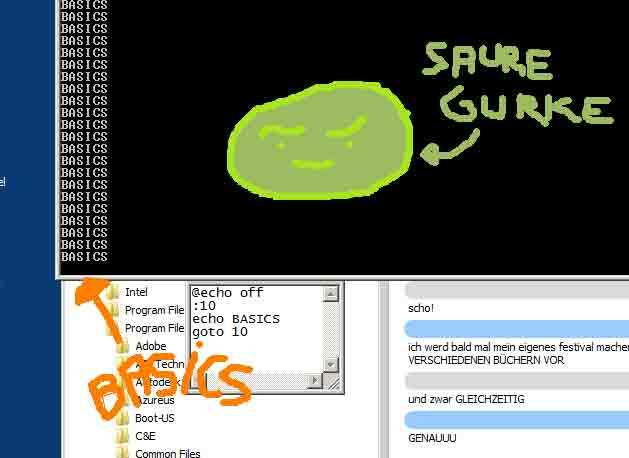 However I’m pretty sure that 97% of the time, MS Paint is used for one purpose and one purpose only: slapping crappy, waggly mouse-drawn lines in glaring 0xff0000 over photos, screenshots and maps, usually padded with gigantic JPEG artefacts. Most of the time, it’s an arrow. Call me guilty as charged. PS: Yes it’s actually 0xff7e00, I know.